Tired of wasting time scheduling meetings? Choose your invitees and suggest available times directly from your calendar. 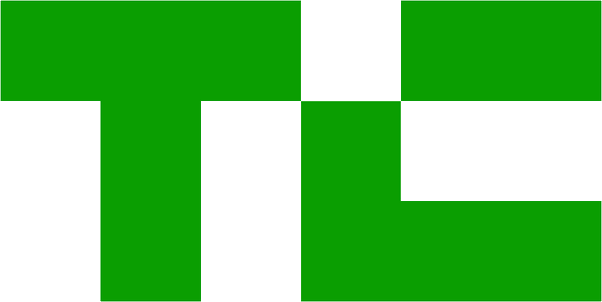 Your invitees easily vote on your suggestion. Even if they are not Vyte users. Just confirm the best time in one click. Everyone gets the confirmation in their calendars. 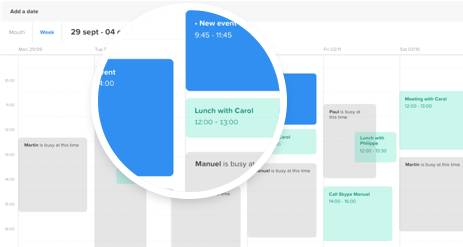 Set your scheduling page in seconds Connect your calendars and set your weekly availability preferences. Share your link with anyone asking for a meeting. They visit your page and suggest convenient times for you. Confirm the best time for you and everyone gets it in their calendars. "Scheduling a meeting usually takes a few emails. Add a third person, and you are now stuck in an email nightmare. 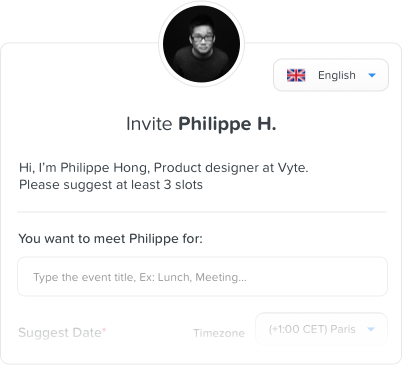 French startup Vyte.in knows this too well, and will let you schedule meetings in a few clicks right in your browser."